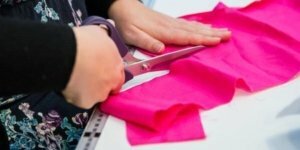 This workshop focuses on basic dress making skills. Make a wonderful pair of pyjama bottoms using recycled textiles. Learn basic jewellery making skills to make an upcycled necklace using cutlery. 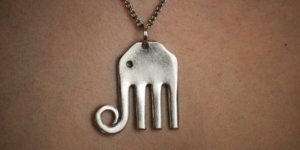 Make an unforgettable elephant or a funky octopus and take away skills to create your own cutlery creations at home. Please note that bending metal will be required in this workshop. In this workshop you will learn macramé skills and make your own modern macramé plant hanger. Create something beautiful for your stylish home and learn a fantastic new skill. Learn to make a stylish and useful basket using plastic bags and learn simple transferable crochet skills. Put that stash of plastic bags to good use!. In this workshop you will learn basic upholstery skills and make a useful pinboard using off-cuts of upholstery fabric and reclaimed wood. This workshop is great if you want to pick up simple tips and skills which you can then apply to upholster chair seat pads, headboards and more. Learn macramé skills and make your own modern macramé wall hanging. Make something unique to decorate your home or a handmade present someone will really appreciate. Bring a small piece of furniture to upcycle using chalk paints and creative painting techniques – you’ll leave with a funky unique piece of furniture! Learn basic jewellery making skills to make upcycled earrings from plastic bottle tops. Repurpose everyday plastic waste into bold and beautiful statement jewellery!